This Sunday will be the final Sunday in Lent. We will celebrate Palm Sunday. Interestingly enough, liturgically, this is also considered Passion Sunday where we remember the death of our Lord. I suppose this is because worship leaders want people to understand some of what Jesus went through (they realistically know that not everyone will attend the Good Friday service). Our congregation is fortunate enough to have Spirit Act leading us in worship this Sunday. They will present the readings through the service so that we will be able to internalize the Passion of Jesus in ways we might not by just hearing it. I think you will appreciate their work as we worship together. Of course, we also have the Easter Egg hunt following the service on the lawn of our Boulevard property. We invite you to bring your children or grandchildren, friends and family. We will have food trucks available for you to purchase lunch and hope everyone will stick around for the fun! Holy Week will start the Monday following Palm Sunday with our morning devotions. They will begin at 6:30 am in Wesley Hall and will last about 30 minutes each day. Breakfast will follow – we hope you’ll join us! Our evening services that week will be our Maundy Thursday and Good Friday services at 7 pm in the sanctuary. These are always meaningful and we usually have good crowds. It is nice to celebrate with our church family and we hope you’ll join us! 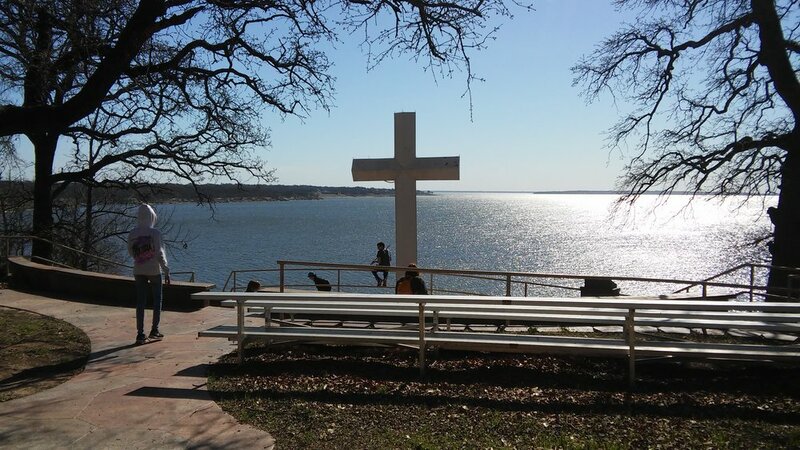 The picture is from our camp down at Crosspoint (Lake Texhoma). This is a beautiful campground and they have cabins available for families to rent if you need a getaway. I’m there with our youth this week while we get some mission work done! Newer PostHoly Week has arrived!